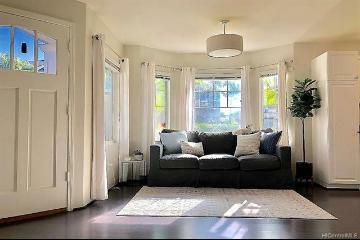 ONE-OF-A-KIND!!! 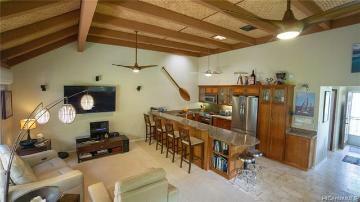 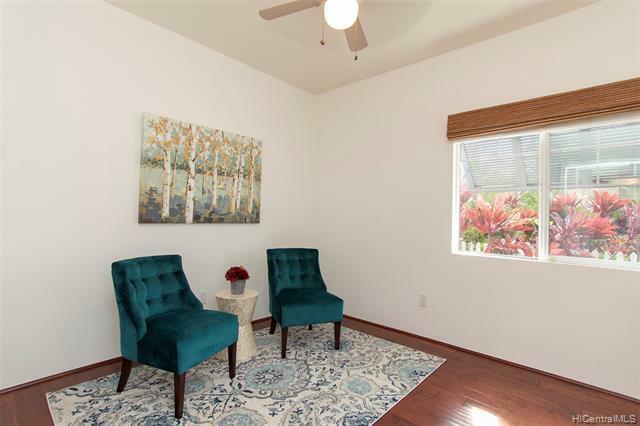 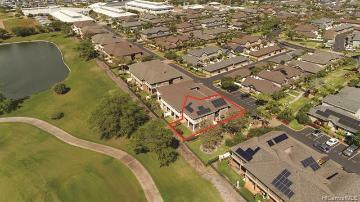 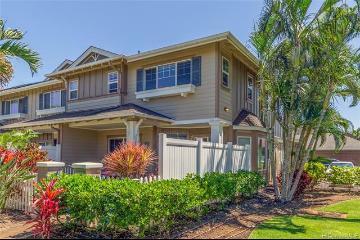 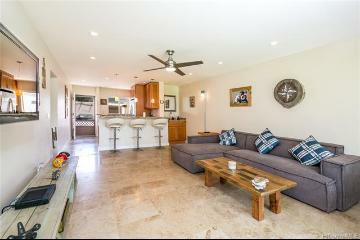 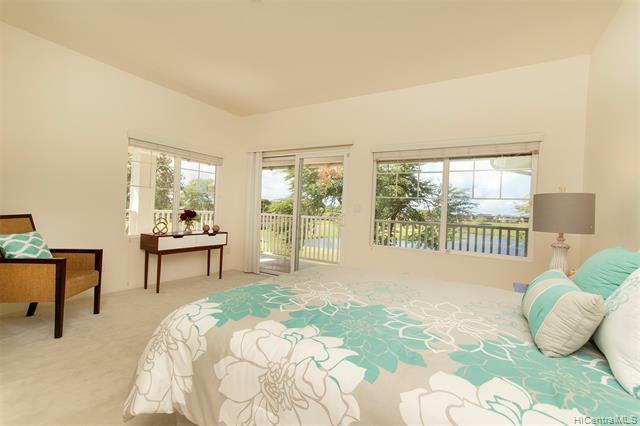 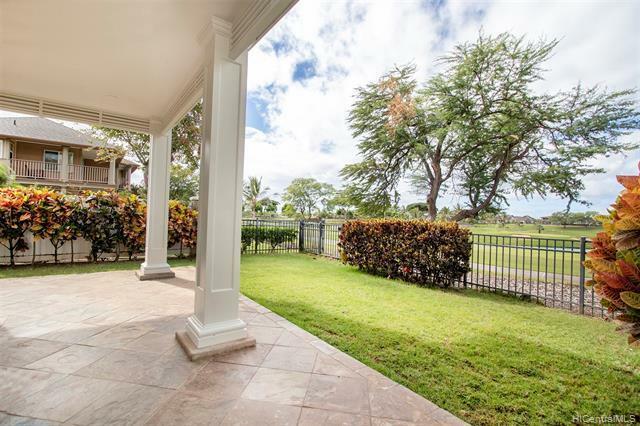 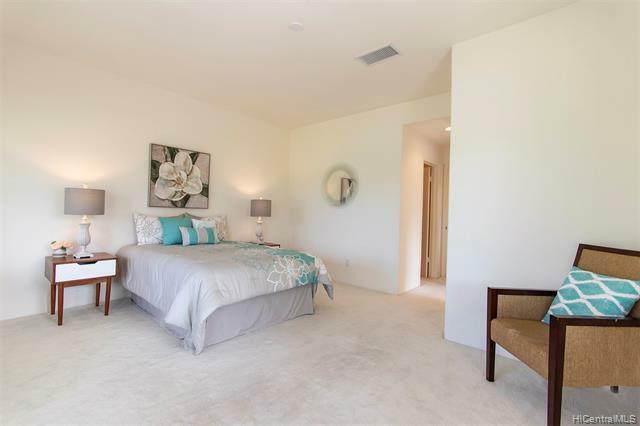 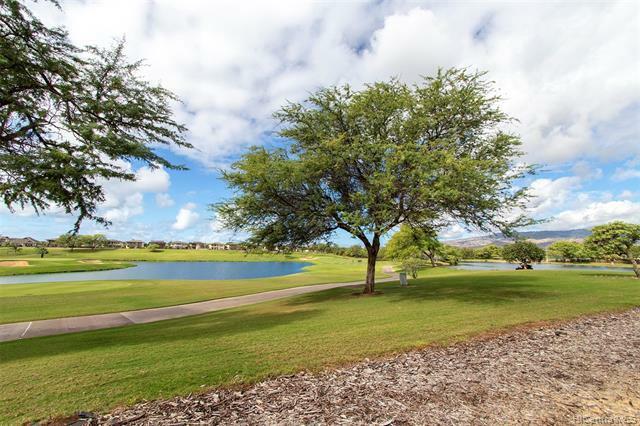 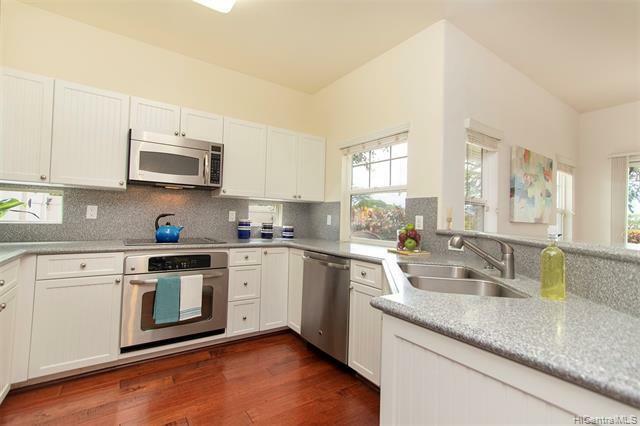 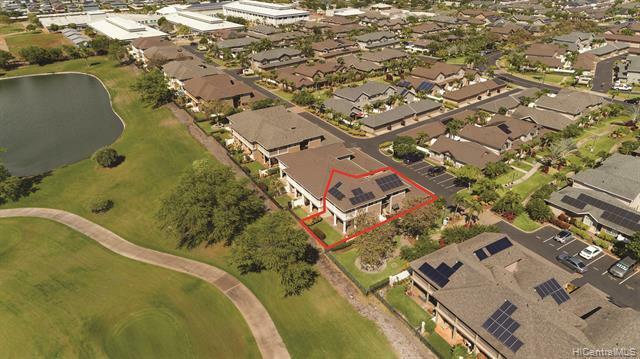 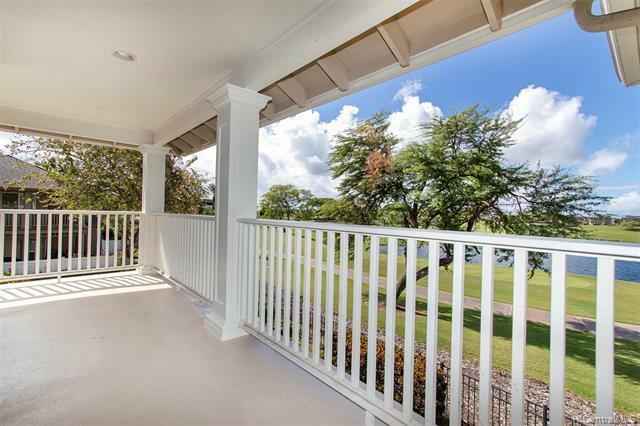 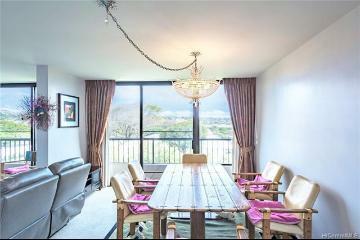 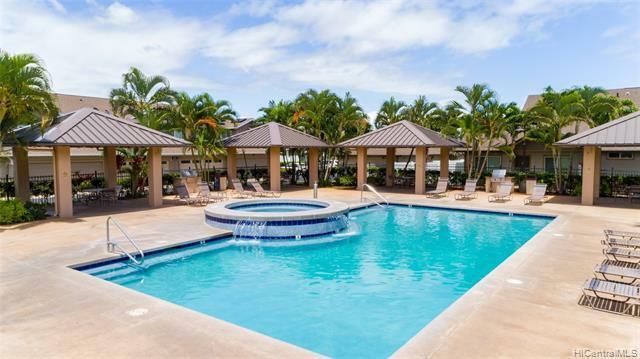 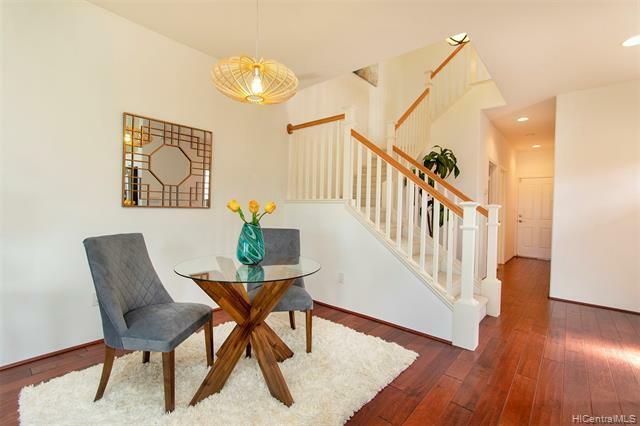 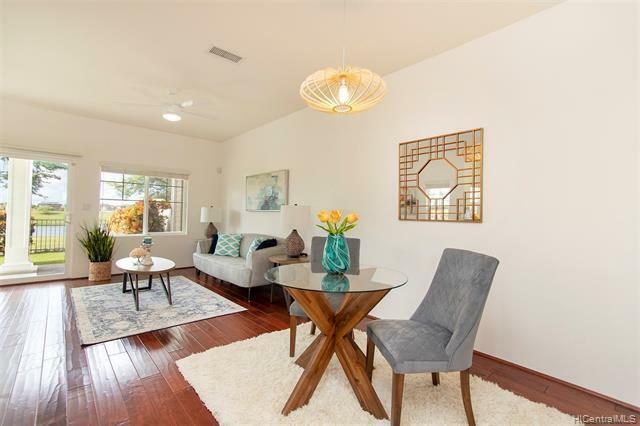 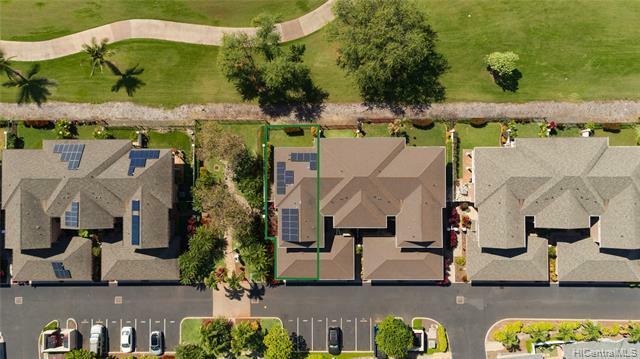 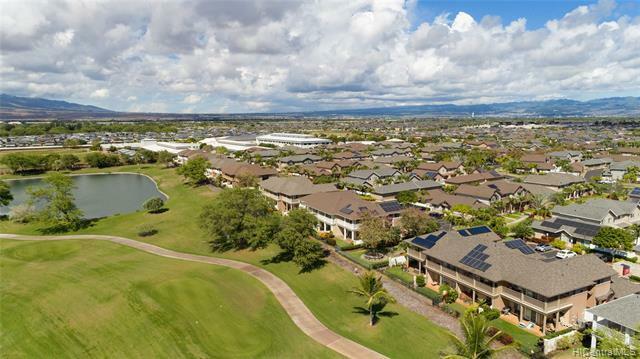 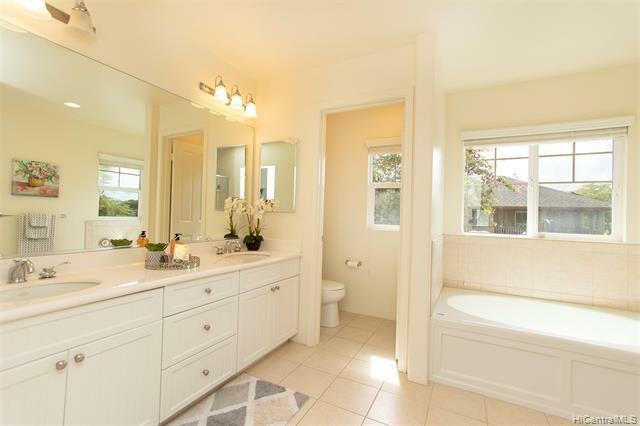 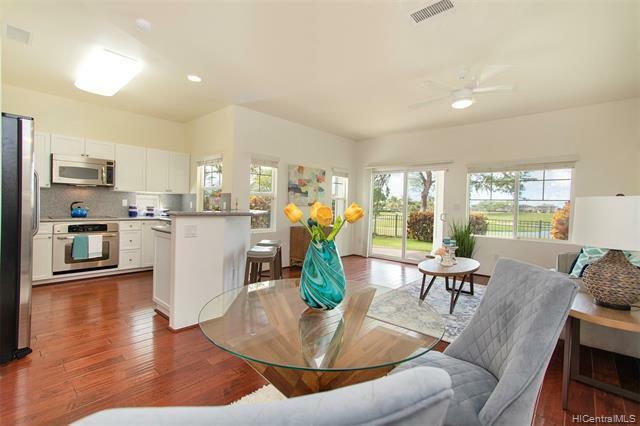 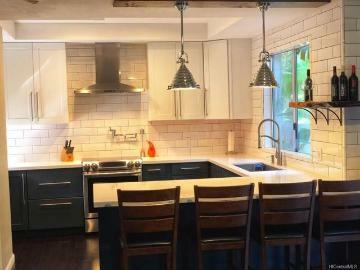 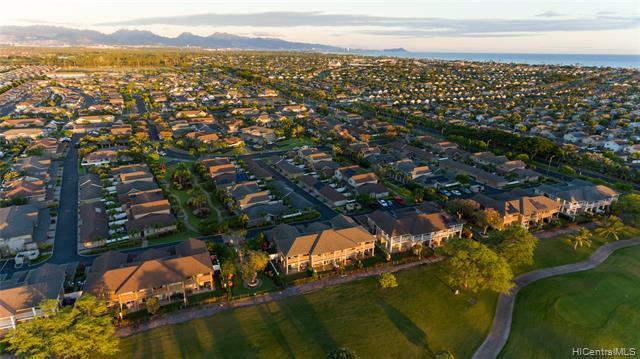 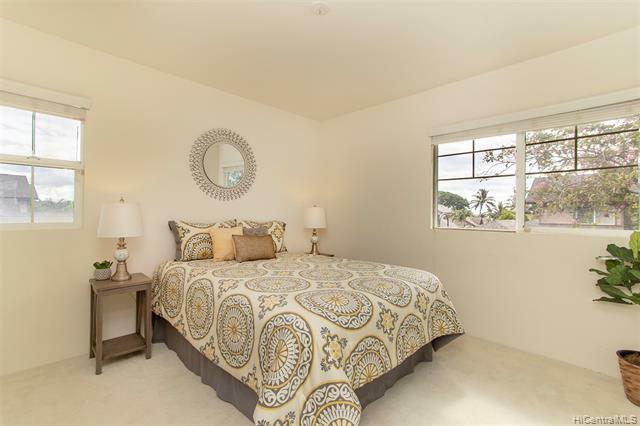 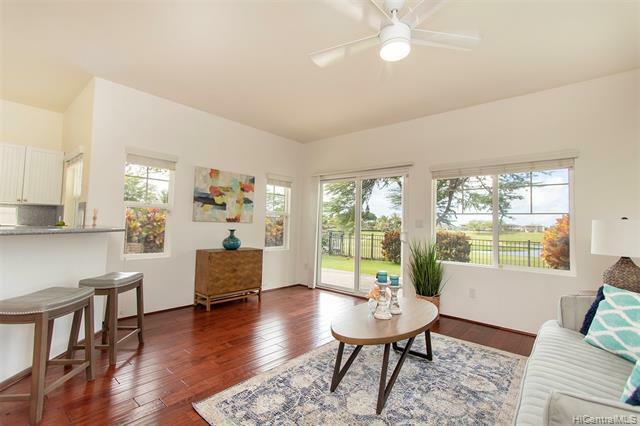 3 bed, 3 bath corner-end-unit townhome on the Hoakalei Golf Course w/ 22 owned PV panels on Net Metering Agreement! 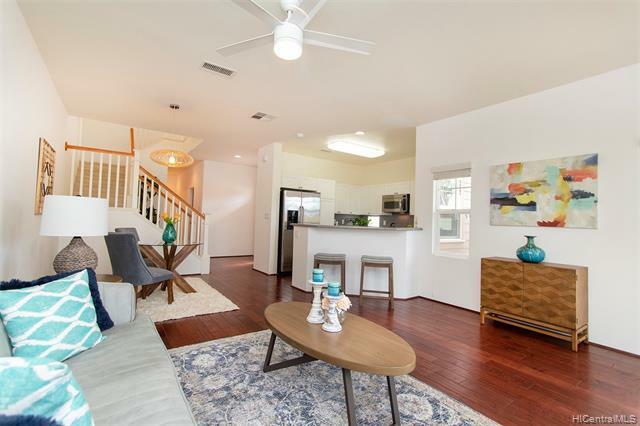 The main level features vinyl plank flooring, high ceilings, beautiful finishes and a bedroom/bathroom on the 1st floor perfect for in-laws. 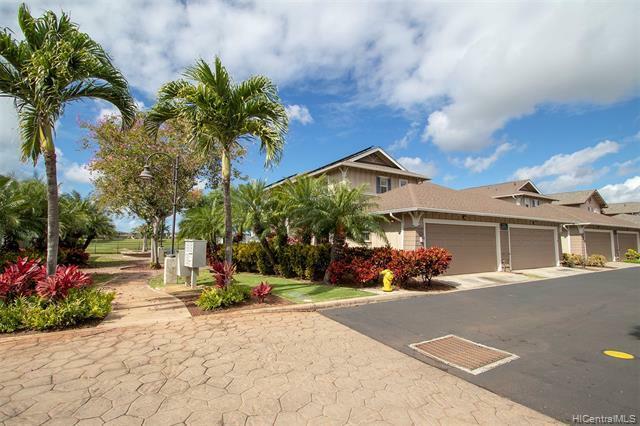 The upstairs offers privacy with two master suites, including one master suite with an extra large bathroom, walk in closet, and covered lanai with golf course views. 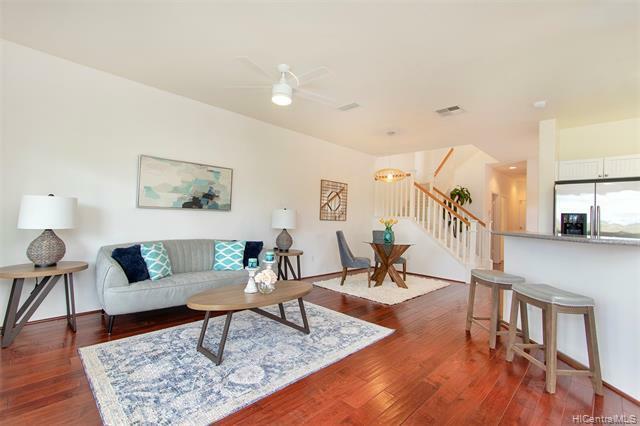 Other rare features include an oversized 2-car garage, central A/C, covered patio and enclosed backyard perfect for children and pets! 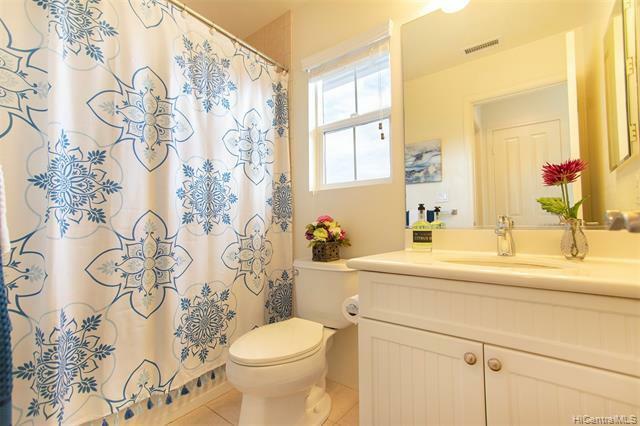 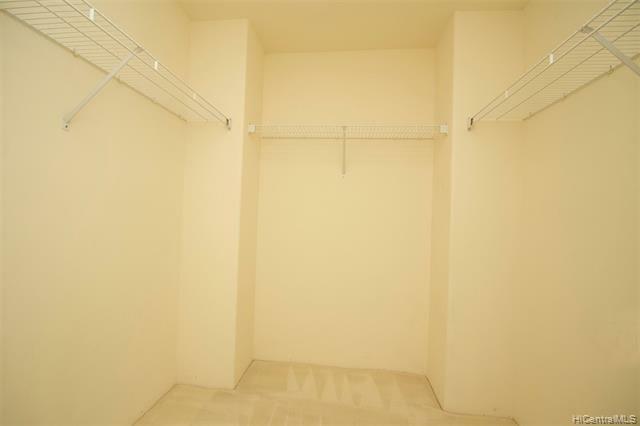 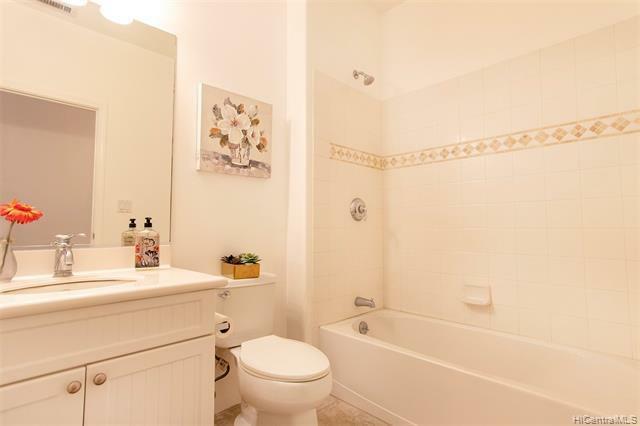 This is also the best location within Townhomes at Fairways Edge, with easy access to guest parking, mailbox, and garbage. 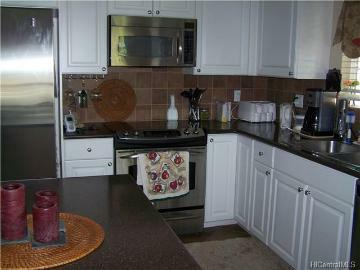 Safeway, Walgreens, Ross, Petco and a nice selection of dining options are just minutes away! 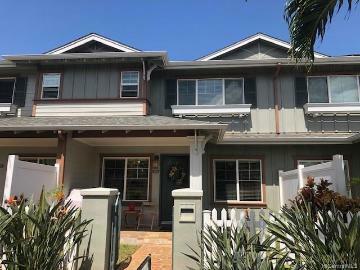 Don’t miss out on this unique opportunity!!! 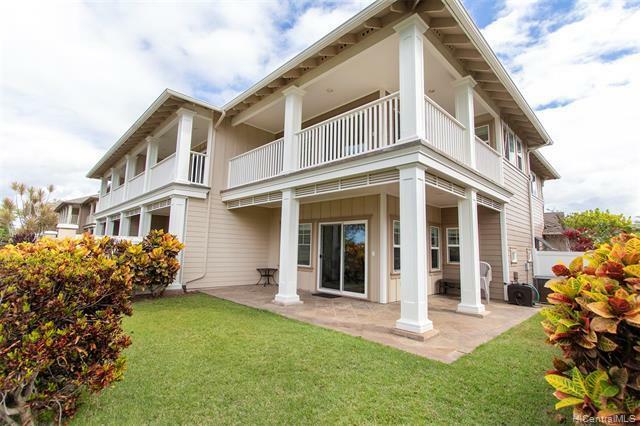 91-2117 Kaioli Street, 2701, Ewa Beach, HI.